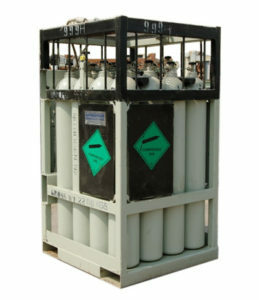 We Axcel gases, along with our associated companies, are a renowned Helium gas supplier, manufacturer and exporters In India. Helium Gas is an Inert, tasteless, odorless, colorless nonflammable, Non Toxic gas present in atmosphere at a very low concentration of 5.2 PPM by volume. It is the second lightest element of nature after Hydrogen. It has a boiling point of -268.9° C (-452.0° F). Helium is extracted from the earth’s crest where it is present in large quantity. At the time of drilling process for extraction of natural gases or oils, Helium mixed with other gases, also comes out of the earth’s crest. Pure Helium is then separated and converted into liquid Helium using fractional distillation technique. This liquid Helium further gets converted into Helium gas and is being stored and supplied in Helium Gas Cylinders for any industrial/lab grade applications. For some applications where continuous and high quantity of Helium gas is required to be feed, We make use of Helium gas cylinder quad which is nothing but number of cylinder interconnected and having common outlet. Helium Gas is available in different purity grades and concentrations to meet the specific requirement of diverse industries. We have in house laboratory equipments to check the level of purity as well as various impurities present in it. Due to its non reactivity to any material in any condition, helium gas finds huge application in welding process as a shielding gas. Sometimes, it is used as a carrier gas in various gas mixing /calibration gases applications. 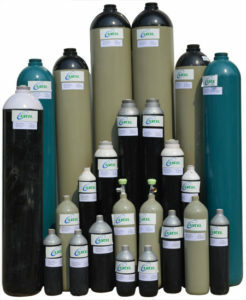 Please click here to know the different sizes of cylinders available. As a shielding gas in welding process for material which have got high heat conductivity like Copper and Aluminum. As a leak detector gas for pressure vessels which need to be highly leak proof. As a gas to lift the balloons or other equipments needs to be floated in air or atmosphere. As a mixture gas for breathing air, used in low level sea diving. As a carrier gas in various gas mixtures. As a carrier gas in gas chromatography. These are some of the common uses of Helium. There are various other ways in which Helium can be used in a particular industry or process.